8 shipments of mangoes shipped 4-8 days apart all throughout the mango season. A Large box has 6-8 lbs of premium mangoes (the number varies depending upon the variety and fruit size). For schedule details, add product to cart. Each Large Box is Roughly Scheduled 4-8 days apart, the first being delivered at the start of the season. Mango (Scientific Name: Mangifera Indica, a native of India) is known as the “King of Fruits” – it is the most popular fruit in the world by a long shot. The best mangoes are grown in the Indian subcontinent since thousands of years. A mango season pass is our flagship product and a delight for every mango lover!! Enjoy a Full Season of Banganpalli Mangoes from the Premium Mango Growing regions in the Andhra Pradesh/Telangana region of India. Banganpalli Mango is known as the “Pride of Andhra” for its superb taste and flavor. Fiberless when ripe, this is a premium variety of mangoes. A season pass ensures that you will get Premium Banganpalli mangoes from the Top regions throughout the mango season. Most of our Banganpalli mangoes come from the Kadapa region of Andhra Pradesh, although we also get top varieties from other premium regions around the area as well. 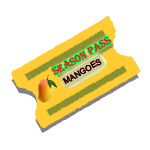 A mango season pass is our commitment to you that no matter what happens, we will work to bring you the best available fruit all season long. In case there is short supply during any specific period, the season pass holders get first priority for the available supply.